Wooden garbage truck, light blue lacquered, whose tipper can tilt and the rear door lifted, to pour its contents. Features that will provide play ideas to your child. Teach him, while playing, the first notions of ecology! 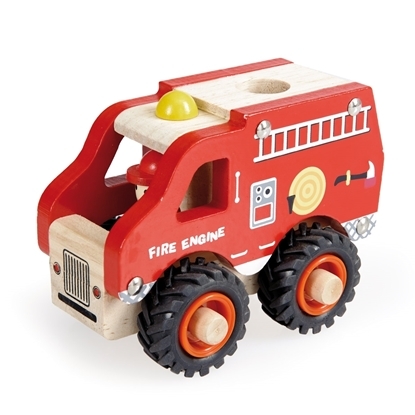 Small fire truck in red wood, extra light for endless play, equipped with rubber wheels. 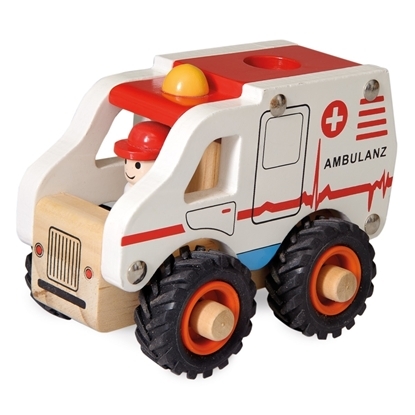 Small ambulance in white wood, extra light for endless play, equipped with rubber tires. 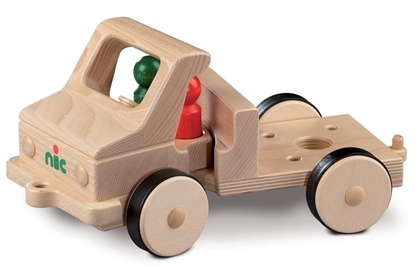 Wooden car transport toy truck with 4 cars in joyful colors, all with rubber tires. The truck is equipped with a mechanism to lower the upper deck down to unload the cars. 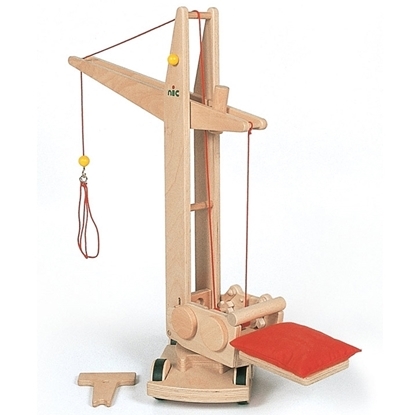 A toy with which your child will not get tired of playing. Wooden tow truck with a lot of functionalities. The wrecking crane can be lifted out of the wooden underframe, so that the chassis is available to support other tools, such as a wooden fire ladder, a tipper, etc. Starting from one lorry and purchasing different tools separately, you create different lorries with different functionalities. 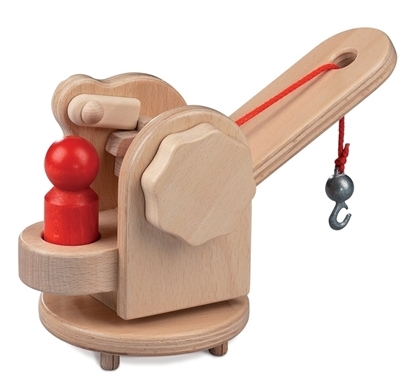 Wooden building crane, part of a set of wooden toy trucks and accessories which are interchangeable, to extend little by little your toy fleet for many years of endless play joy. Wooden automotive excavator. Part of a set of toy trucks and accessories which are interchangeable, to extend little by little your fleet for many years of endless play joy. Wooden wheel loader with many functionalities. 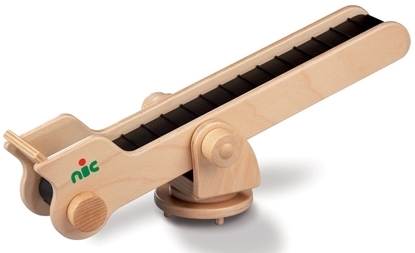 Very sturdy and play resistant. For adventurous little boys. 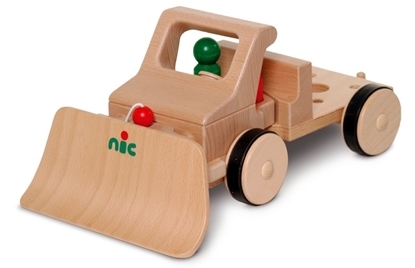 Wooden fork-lift truck, with stacking box included, part of a set of play trucks and accessories which are interchangeable, to extend little by little your toy fleet for many years of endless play joy. 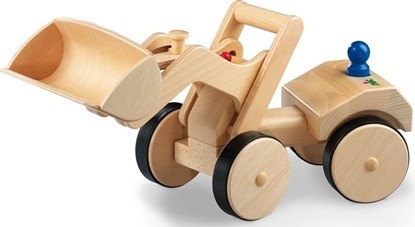 Wood stacks for fork-lift, part of a set of trucks and accessories which are interchangeable to extend little by little your toy fleet for many years of endless play joy. 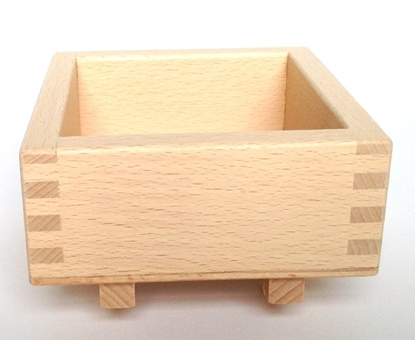 Wooden stacking box for fork-lift. 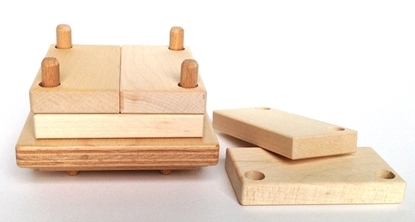 The fork-lift can be played with the wood stacks or with this stacking box. 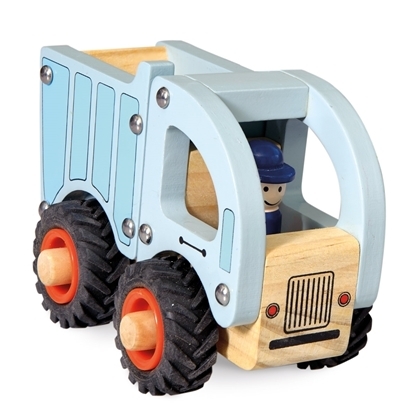 Dumper truck equiped with a wooden open-box hinged at the rear, the front of which can be lifted to allow the contents to be deposited on the ground behind the wooden truck, provided with two little wooden men. This snow plow is an accessory to put in front of one of the lorries which are part of a set of trucks with interchangeable accessories . Start with one lorry and extend little by little your toy fleet for many years of endless play joy. 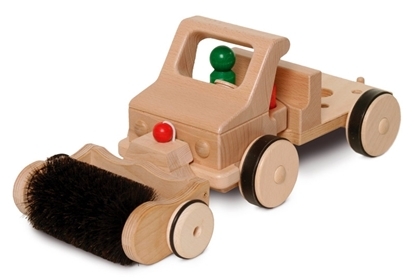 Sweeping machine, accessory to put in front of one of the lorries which are part of a set of wooden toy trucks and accessories which are interchangeable with each other. Start with one lorry and extend little by little your toy fleet for many years of endless play joy. 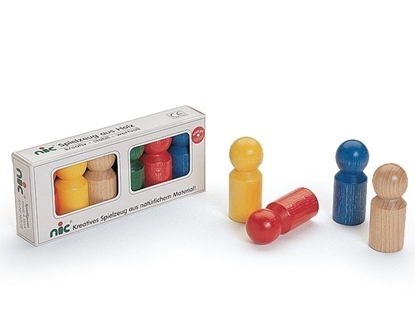 Set of 6 little wooden men (sorted colors), part of a set of wooden toy trucks and accessories which are interchangeable with each other. 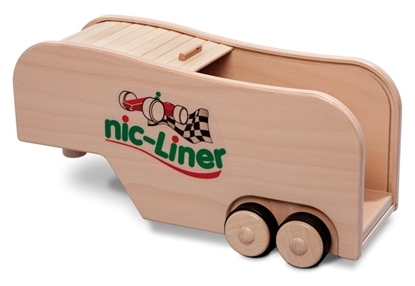 Wooden lockable car trailer to put behind a lorry which are available in two models: a short one and a long one, part of a set of polyvalent trucks with interchangeable accessories. Start with one lorry and extend little by little your toy fleet for many years of endless play joy. 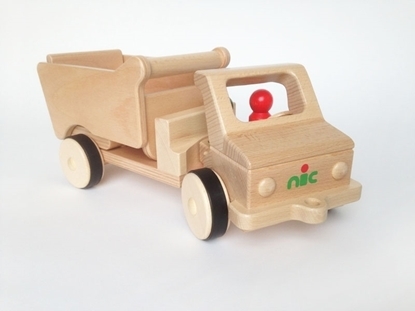 Wooden low bed truck to put behind a lorry, part of a set of wooden toy trucks and accessories which are interchangeable. 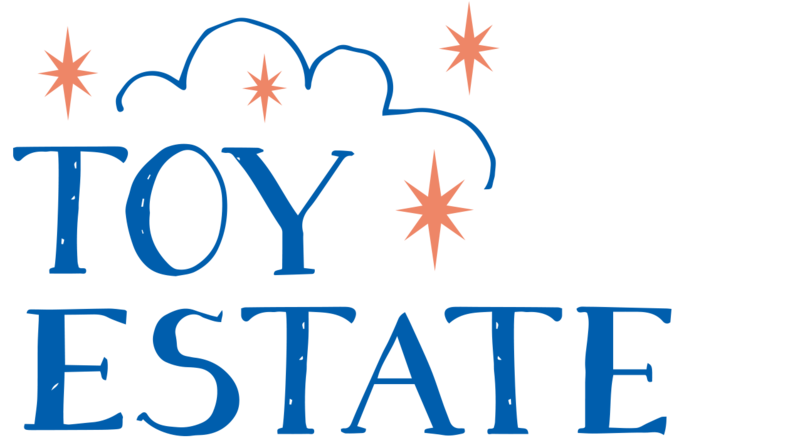 This enables you to start with one lorry and extend little by little your toy fleet for many years of endless play. Conveyer belt, build up part, can be placed on top of the two-weeled trailer or of one of the two lorries basic models. Starting from one lorry create different lorries with different functionalities by applying different build up tools. 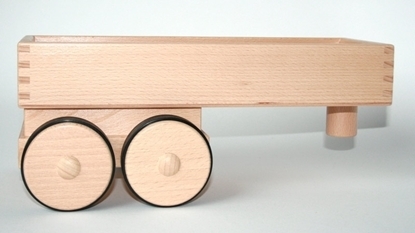 Part of a set of wooden toy trucks and accessories which are interchangeable. Start with one lorry and extend little by little your fleet for many years of endless play joy. 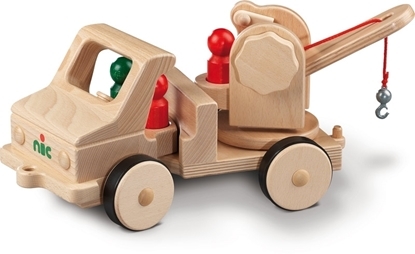 Wooden lorry, basic model short, chassis to support various tools, such as a fire ladder, a crane, etc., to create with this one basic model a lot of lorries with different functionalities. 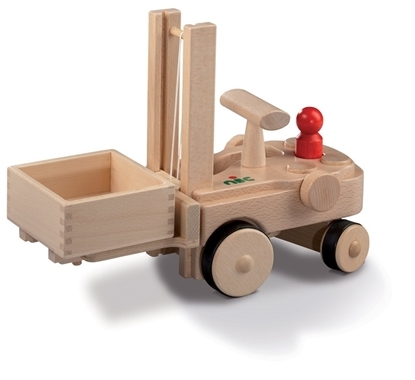 Wooden lorry basic model long, chassis to support other tools, such as a wooden fire ladder, a wooden crane, etc. With one underframe and different tools you create different lorries with different functionalities. 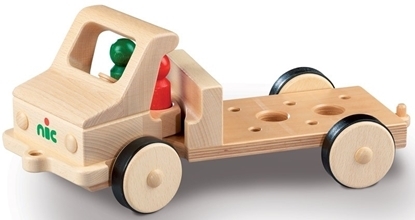 Part of a set of toy trucks and accessories which are interchangeable. Start with one lorry and extend little by little your fleet for many years of endless play joy. 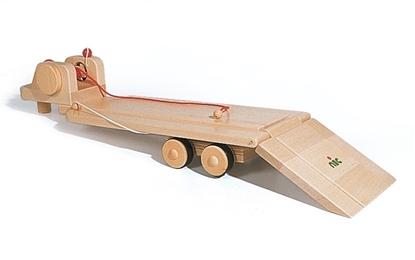 Two-weeled trailer to put behind a lorry or a tractor, provides a wooden under frame to support other tools, such as a fire ladder, a crane, etc., part of a set of wooden toy trucks and accessories which are interchangeable. Start with one lorry and extend little by little your toy fleet for many years of endless play joy. Semi trailer to put behind a tractor or a lorry, part of a set of trucks and accessories which are interchangeable. This enables you to extend little by little your toy fleet for many years of endless play. 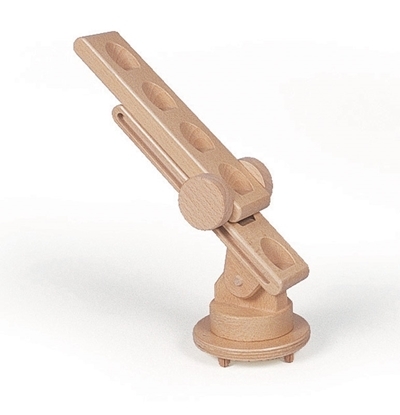 Telescope ladder, build up part, can be placed on top of the two-weeled trailer or of one of the two lorries basic models. Starting from one lorry create several trucks with different functionalities by applying different build up tools. 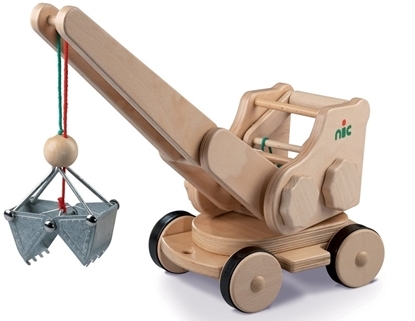 Wrecking crane, build up part, can be placed on top of the two-weeled trailer or of one of the two lorries basic models, part of a set of wooden toy trucks and accessories which are interchangeable.